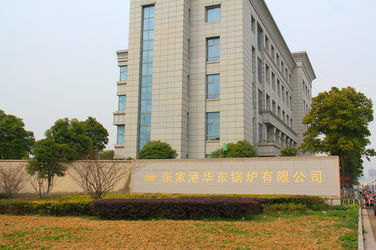 Zhangjiagang Hua Dong Boiler Co., Ltd.is located in Suzhou, Jiangsu Province. Established in 1985, it is a leading boiler manufacturer of industrial boilers and power plant boilers (up to 600MW and 1,000MW unit). 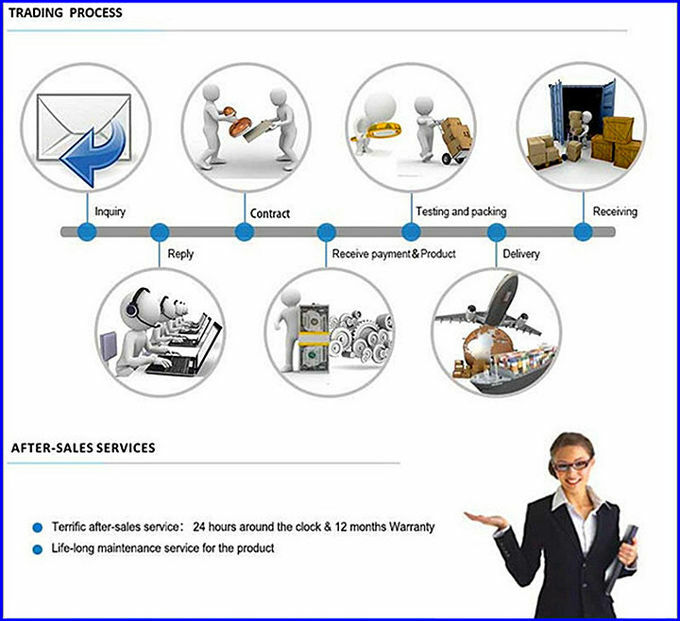 We continuously increase product's grade and quality, and provide reliable service for customers. We bring to our customer integrated services including boiler design, fabrication, installation, maintenance and replacement of boiler parts (including membrane wall, drum, header, superheater, economizer, evaporator, gen bank, H-fin economizer, spiral fin tube, air preheater, flue, heat exchanger etc.). 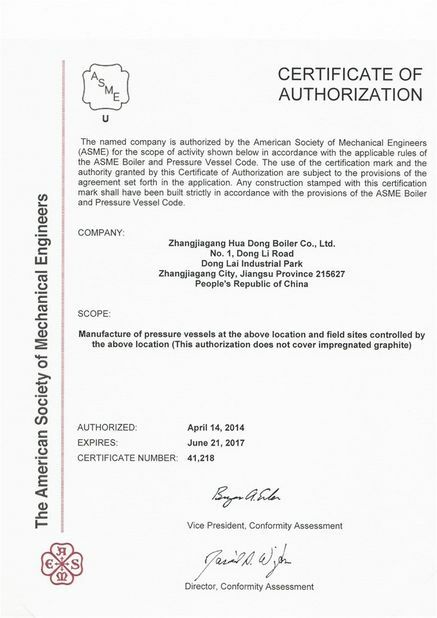 HDB has domestic and international certifications, such as Class-A licenses for design and manufacture boiler, Certificate A1/A2 licenses for pressure vessel, ASME ‘S’, ‘U’, ‘NB’ stamp, ISO 9001, ISO3834, EN12952 etc. 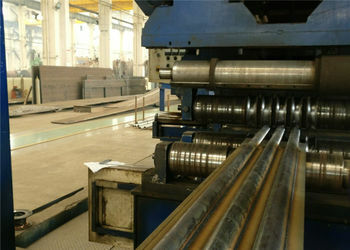 We fabricate boilers under GB, ASME, EN, IBR and other international codes. Our philosophy is ‘product quality is our life, customer satisfaction is our goal’. HDB offers prompt response, professional products, and all-around service to our customers. Our experienced sales team and engineers are waiting for your enquiry and ready to provide sincere service. We cordially welcome domestic and overseas friends to visit our company and manufacturing bases, and look forward to building up long-term, mutual cooperative relationship with you. 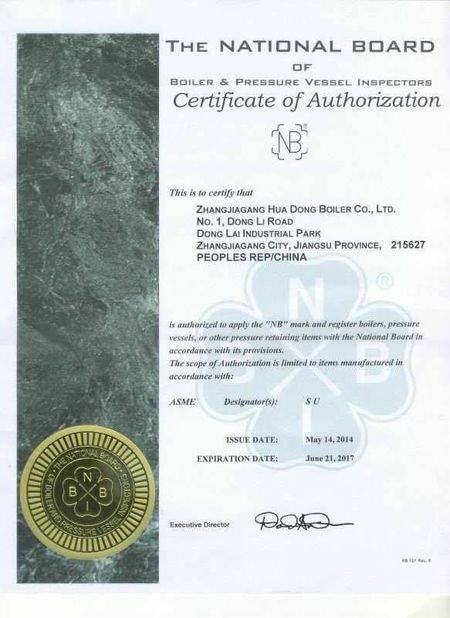 Zhangjiagang Hua Dong Boiler Co., Ltd. though thirty years development, Continuous practice and accumulation，we have a passion, ability, experience and innovative spirit of the team. The company currently employs more than 600 employee. 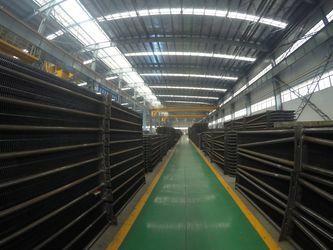 Boiler products so far has formed 1 foreign trade business team, 1 materials procurement team, 1 design technical team, 1 production quality team, 1 after-sales service team. 70% college degree, 30% bachelor degree, our manufacturing process technology and experience in boiler product integration, to ensure to provide the perfect solution to the customer, Hua Dong Boiler （HDB） is your best choice, we look forward to cooperation with you.